CarraLena is a 2005 mare by Calato. 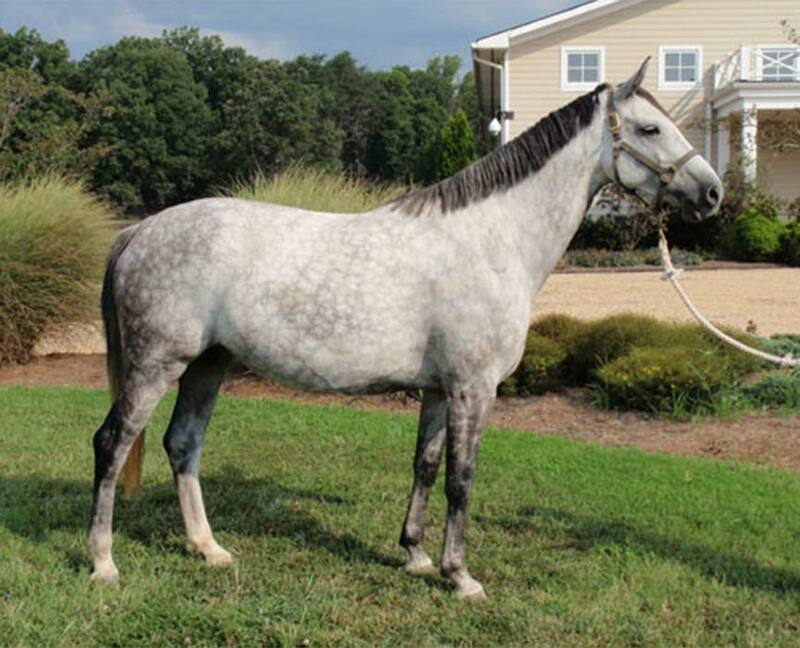 This beautiful mare was approved as a Premium Mare in the AHHA studbook in 2010. She produced a colt by Asca Z in 2010, Ace of Spades Z who sold to AliBoo Farm in Illinois, and is now an approved as a breeding stallion with BWP and Zangersheide as Carrasca Z. Her 2011 Premium Colt Archimedes HS is by Ariadus was the first foal sold in 2011. CarraLena is one of our top producing mares and has foaled a beautiful filly by Zirocco Blue, Ethereal Blue HS in 2012 and another premium filly, Gaia HS (v. Contefino) in 2014. She is mother to the 2015 AHHA Champion foal, Caspian HS (v. Cachas), and 2016 Champion filly, Iclipse HS (v. Cachas). She produced a premium filly by Cachas is 2018 and is in foal to Untouchable for 2019.